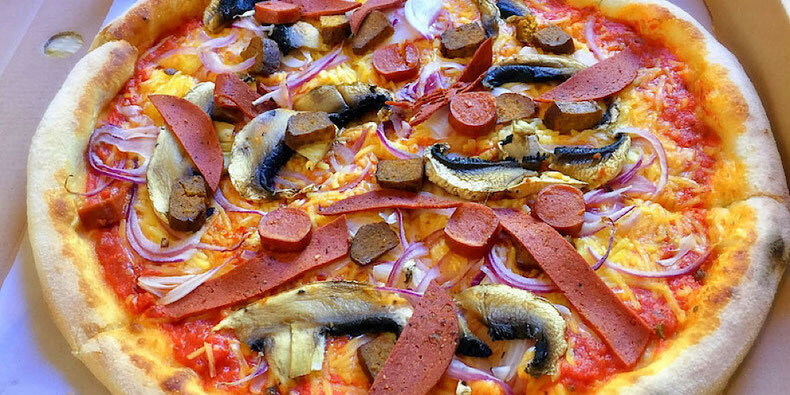 Where's the best vegan pizza in Brighton? Pizzaface is a local pizza joint born in Brighton that offers a huge selection of bold and interesting pizza goodies, including an impressive vegan menu, and they are all prepared by hand and cooked in a stone-based oven. I definitely had to get my hands some of this vegan cheesy and meaty goodness. And what's my favorite thing about pizza?... That's right - delivery! This post brought to you by Pizzaface who provided complimentary food. Affiliate links included. See disclosure for more. Check out the Ozzy! A pie of melty, tasty cheese, red onions, mushrooms and not just one but three different kinds of meats - a spicy chorizo, a chewy pepperoni, and a savory smoked sausage. And feast your eyes on this colorful creation, the Art / Beets. 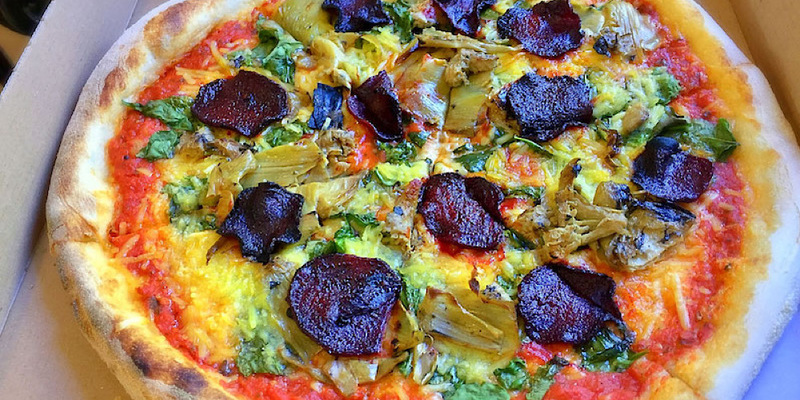 It's a rainbow of a pie with yummy cheese, fresh spinach leaves, succulent artichoke pieces and a very unique take on pepperoni made up of delectable purple beetroot slices! And that's not all! There's the Thom Yorke - with tofu sausage, pine nuts, and sour cream, the Moby - with peppers, sausage and chorizo, the Zephaniah - with meats and chillies, and the Gabriel - a pesto pie with onions, olives and chili! But the flavor explosions don't end there. 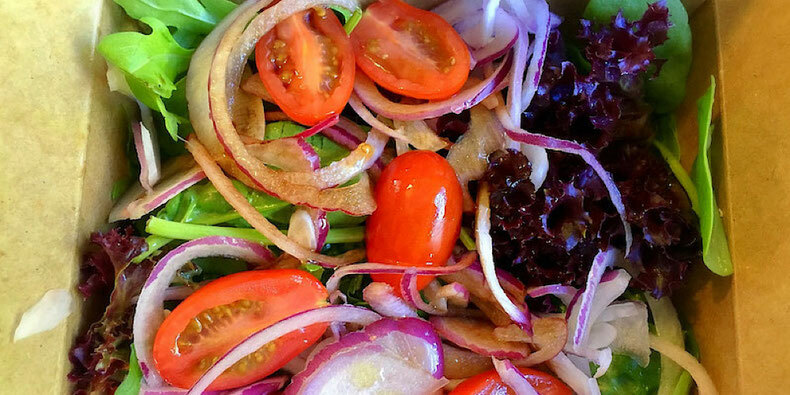 There's an amazing fresh garden salad full of peppery rocket, purple romaine leaves, tangy red onions, and sweet cherry tomatoes, and topped with an ingenious house-made dressing of mustard, lemon and olive oil. I know I'm a pretty outspoken salad-naysayer, but I'll admit I gobbled this one up immediately. Shh. Don't tell anyone. My favorite thing may have been the cheesy garlic bread. We don't often see this veganized, so it's a special treat. 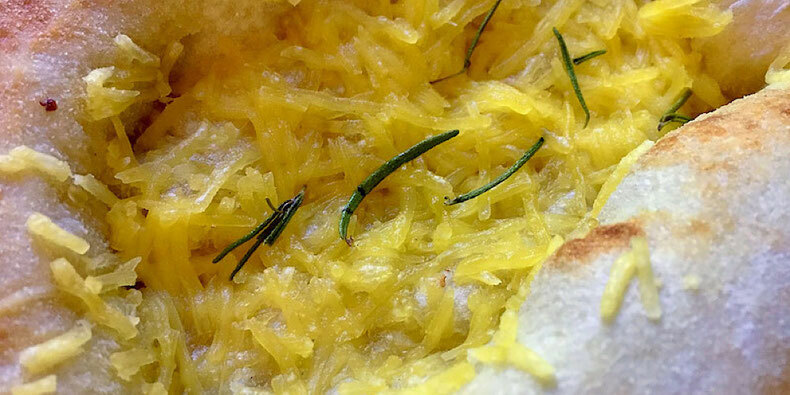 This one was a warm, doughy, chewy garlic bread topped with melted vegan cheese and delicate rosemary leaves for a heavenly blend of yumminess. 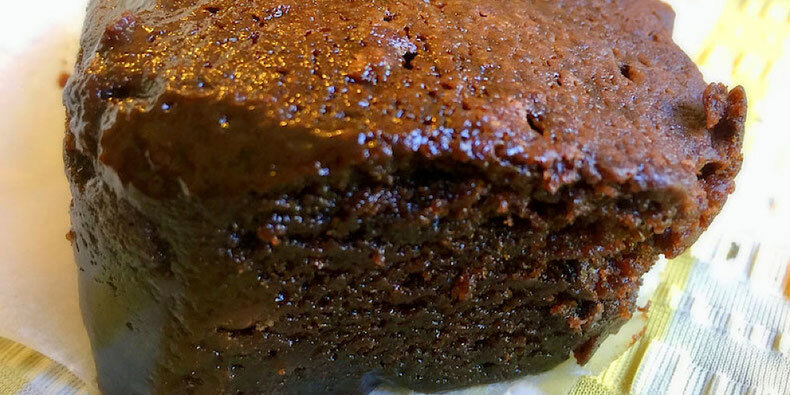 Vegan brownies, anyone? Oh yeah, you betcha. Sweet, soft, moist pure dark chocolate brownies! Go check out Pizzaface in Kemptown, Hove and Worthing or order for delivery! Free over £15! Bonus! You can also find their pizzas at many local spots all around Brighton like the Fortune of War, Sticky Mike's Frog Bar, Duke of York's and Dukes at Komedia.